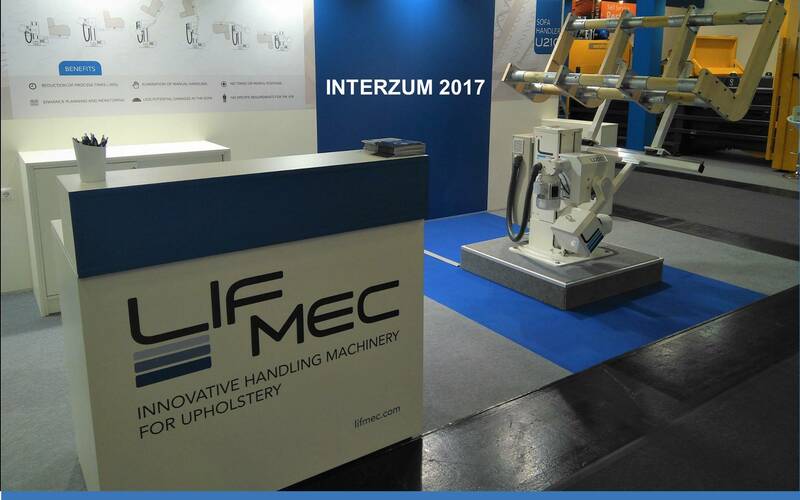 Our portfolio of products brings innovation and technology for the assistance of workers in industrial process tasks that involve handling of heavy loads. 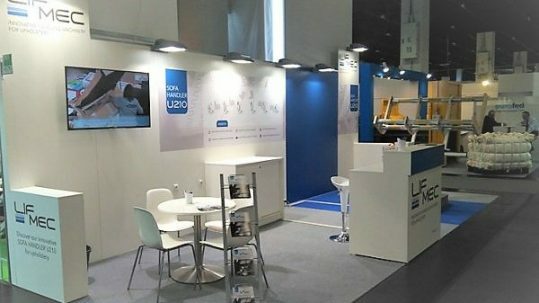 Our own-designed handlers would allow your company to significantly reduce the process time, to implement a better planning and control of production, and to increase your worker´s health and safety. 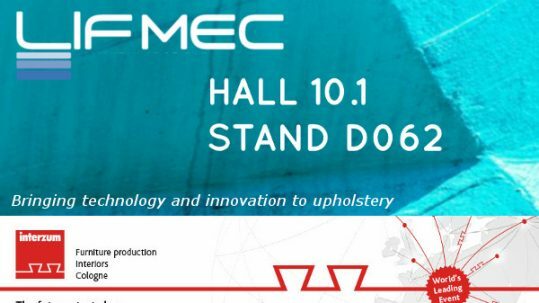 The first application of our technology is for upholstery stage in sofa manufacturing industry. 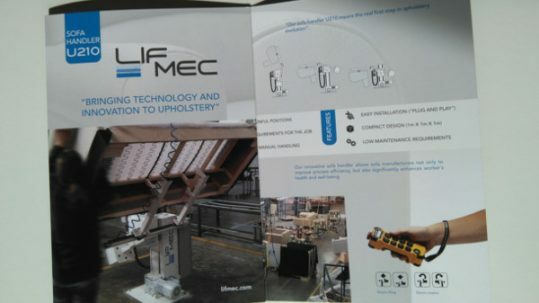 When using Lifmec´s sofa handlers in upholstery operation all actual problems of the process can be solved. 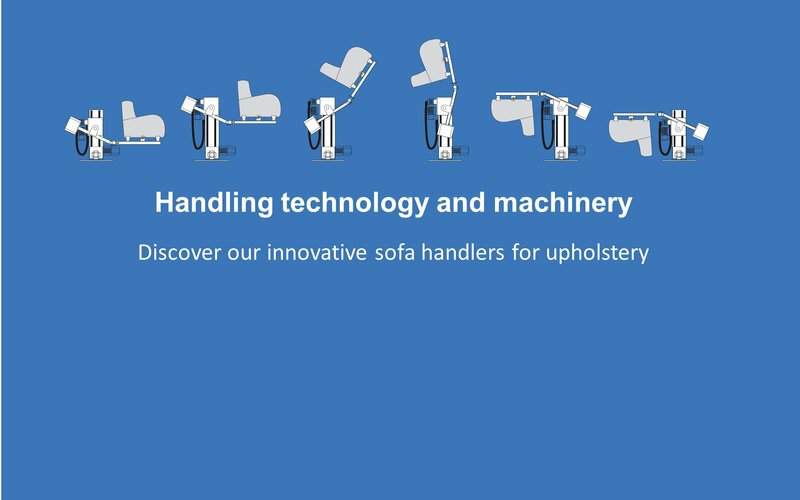 Our machines portfolio comprises a range of innovative sofa handlers for upholstery. 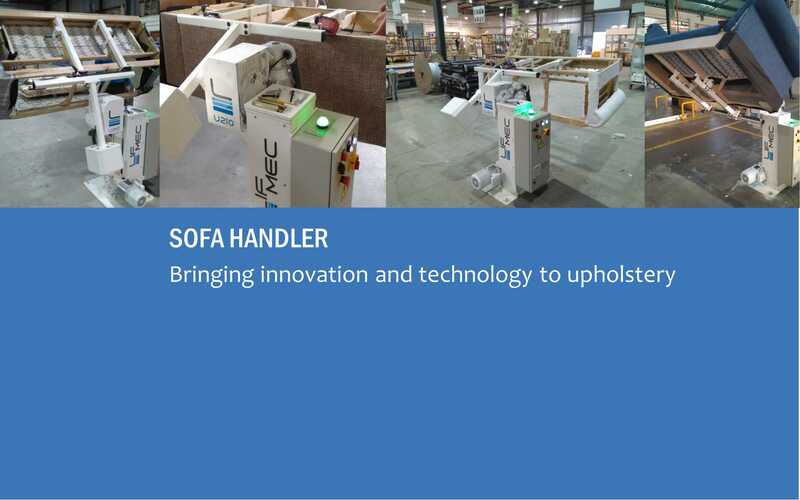 Our current portfolio of products comprises the following three sofa handlers – U110, U210 and U310 – for the assistance of workers in the upholstery stage of the sofa manufacturing process. 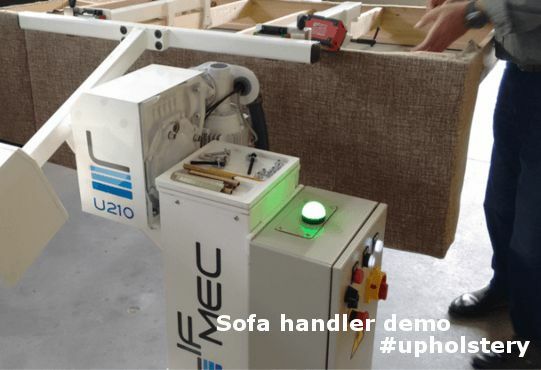 These handlers are able to lift, to position, and to turn the sofa, through a handheld industrial control. 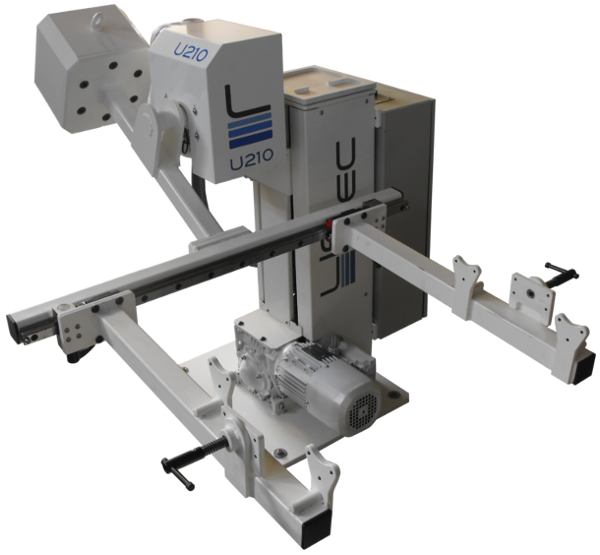 All our Machines have the “CE” certificate of conformity according to the terms of the Machinery Directive 2006/42/EC.